A tech website claims to have found an invitation sent to content creators in Canada relating to the Pixel 3. If this leak is genuine, the new Android device's release will take place in October. However, the leak's contents fail to mention the other products rumored to also be included in the next Pixel line. 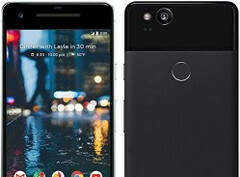 The Pixel 3 is the purported successor to the Pixel 2, which was released last year. Brandon Lee, a contributor to the YouTube channel This is Tech Today, claims to have found a call posted on Google's market influencer resource Famebit. This document apparently gives details of the Pixel 3's release in Canada. According to the call, the phone will be released on October 4, 2018.
the next iteration off of the Google Pixel 2 and 2XL. Blass also claims that there will be a smartwatch with Pixel branding available later this year. Rumors concerning this product have also blossomed, to the point at which XDA now believes that Google will in fact release three separate models of the 'Pixel Watch'. 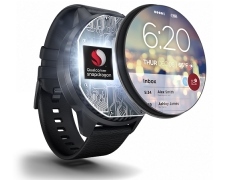 These watches may be powered by Snapdragon's newest chip intended for wearables, the Wear 3100 processor. This may confer the potential LTE, VoLTE and GPS capabilities that have become connected with the Pixel Watch line. However, this new leak, if accurate, does not give much scope for their release.